by Mark Ryman, March/April 2018 issue of "Connections Magazine"
grace, mercy, and peace in Jesus Christ our Lord! Ten books fascinated me while growing up in the 60s in Ohio. One was covered in black leather with a zipper around the edges — as though to keep me out. It was The Holy Bible and it sat on the coffee table in our living room, untouched it seemed, except for dusting. I still remember that room, the placement of the furniture, and the prints that hung on the walls: Thomas Gainsborough’s “The Blue Boy” staring across the room at Warner Sallman’s “Head of Christ.” I asked if I might be allowed to read that Bible. You will be pleased to hear that I was permitted to read it. I did. A lot. I read our King James Bible so much that Mom got me the next eight of my favorite boyhood books. They were a set called The Bible Story Library, itself nothing but excerpts from the King James accompanied by still more famous paintings and prints. I was especially taken by the engravings of Gustave Doré and the Bible stories from “Creation” to “The Apocalypse” that they adorned. The fluorescent book covers may have helped, that and the fact that they were not zippered. A few years later, rounding out my set of ten favorites, I was given my Dad’s light blue, hardbound Small Catechism of Martin Luther when I started what were called Catechism Classes back in the day. I confess that I did not pay as much attention to the Small Catechism as I did the Bible. Yet, I treasured it, perhaps because it was my Dad’s, but maybe because it would come to mean so much more to me half a century later. The deplorable condition in which I found religious affairs during the recent visitation of the congregations has impelled me to publish this Catechism, or statement of the Christian doctrine, after having prepared it in very brief and simple terms. Alas! what misery I beheld! The people, especially those who live in the villages, seem to have no knowledge whatever of Christian doctrine, and many of the pastors are ignorant and incompetent teachers. So, he penned the Catechism in terms simple enough that parents (and pastors) could use it to teach their children the basics of the Word of God. I had already been formed with a love of that Word, yet was still required to learn the Catechism — a very good thing for me. The result of that book working its way into me is that 50 years later, I have learned how to read the Bible in a new and helpful way. At age 62, I require ever-stronger reading glasses to make out the words in the Bible or any other book. Yet, I have discovered that I have been carrying the strongest lenses possible with me since my youth. The new-found reading glasses I began to use so late in life, the lenses that helped me read Scripture in a whole new way, were light blue and hardbound. When I began to read the Bible through the lens of the Catechism, I saw it on every page. To help me see the Catechism in my Bible, I got a set of Zebrite highlighters. Every time I saw a quotation or allusion to the Ten Commandments, I marked it with the orange pen. I marked verses that the Creed dealt with in green, blue for the Lord’s Prayer, and pink for the Sacraments. I was using those pens so much that I had to come up with a handy way to remember what color went with each section of the Catechism. The Ten Commandments were delivered at fiery Mt. Sinai: so, orange. The Creed speaks to our new life in faith: green. The Lord’s Prayer was taught under the blue sky of a mount and a plain: the blue marker. I used the pink pen for the Sacraments because of the wine on the Lord’s table. The Bible started to become a lot more colorful. It was my sermon notes that actually became so colorful. I designed note-taking sheets for this purpose. The left half of each page contained the Sunday readings; the right side was lined for notes. Every time I would highlight something in the left column with one of those four colors, I would write the words from the Catechism on the lines in the right column. For Ascension Sunday last year, my notes have 32 highlights and handwritten notes from the Catechism in the three readings and Psalm. I keep these sheets in a notebook with the Sola Pocket Catechism stuffed into the notebook pocket for handy reference. For those of you whose church subscribes to SOWeR, the “Sola Online Worship eResource,” these “Scripture Notes” are part of your subscription. These note-taking sheets are provided for each Sunday and festival, and may be found in the right-hand column of text links (“Links to Worship Resources”). They are useful for pastors, Sunday School teachers, and serious students of the Bible. If you begin your own practice of reading the Bible through the lens of the Catechism, you will probably discover that you will need more green highlighters. I find references to the Creed more than anything else. So much green tells me that this ancient statement is a correct distillation of our faith. Those green lines will not only be in your New Testament, but the Old as well. The Creed is ubiquitous. Churches in the West may have once again become a lot like those of old Saxony. Many Lutheran churches in the United States are in a “deplorable condition.” Some pastors and people have become so ignorant of and incompetent in the Scripture, they hold the opinion that the Bible no longer speaks to the life of their congregations. It is no small wonder that some Lutheran congregations have abandoned both Catechism and Bible. They consider them no longer relevant in today’s culture. Now that is a “deplorable condition” for a Lutheran church — for any church. The need for Scripture and Catechism is as strong now as at any time. The current need may be stronger even than in 1528. You shall teach them diligently to your children, and shall talk of them when you sit in your house, and when you walk by the way, and when you lie down, and when you rise (Deut 6:7). Catechesis never ends. It is how we love the Lord our God with all our hearts, with all our souls, and with all our might (Deut 6:5). Being able to teach, correctly handling the Word of truth (2 Tim 2:15), is the privilege and duty of every parent, let alone each Sunday School teacher and pastor. Teaching the Word to your children begins with learning it yourself. Read your Bible so that it may instruct you at all times and in all places: when you sit, while you walk, when you lie down, and when you rise. As you read, use your new reading glasses. Read catechetically. Look for the Ten Commandments — not just in Exodus and Deuteronomy, but throughout the Bible. See how the Creed may be found almost everywhere in the Bible. Note the teachings about prayer in all of Scripture that are so perfectly prayed in that prayer our Lord taught us to pray. Discover the Sacraments in passages other than those we always use. In such catechetical reading, parents, the Holy Spirit will give you the wisdom to teach your children well. Reading through the lens of the Catechism, Sunday School teachers, will enrich your curriculum. 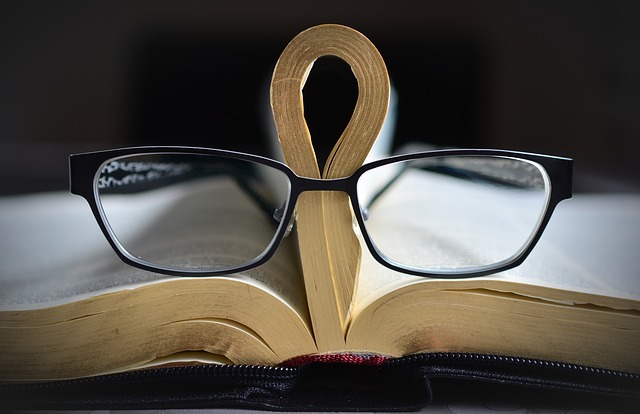 Using your new reading glasses, pastors, will provide you with catechetical references for every sermon you preach from now on. 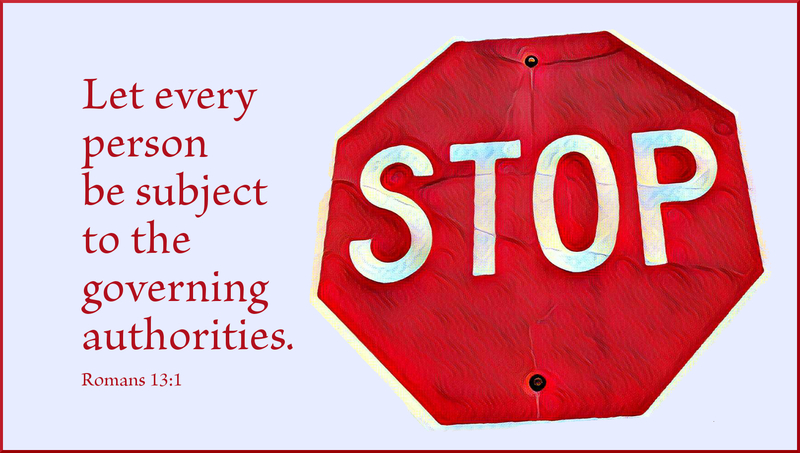 Doing so will reinforce what our children learn at home and in the classroom. While I still have all ten favorite books of my childhood, I now have just two favorite books: The Holy Bible and The Book of Concord. The latter, of course, holds both the Small and Large Catechisms, as well as our other foundational guides to Scripture and sound doctrine. As much as those documents speak to me, it is the Catechism that I see on every page of the Bible. May the eyes of your heart be enlightened through this method of reading God’s Word so that you may know what that hope is to which He has called you (Eph 1:18) — and so that you may teach it to your children. Therefore, it is helpful to differentiate between civil righteousness, assigned to the free will, and spiritual righteousness, attributed to the governing of the Holy Spirit in the regenerate. This retains outward discipline, because all people ought to know that God requires this civil righteousness, and that, in some measure, we can achieve it. Yet a distinction is shown between human and spiritual righteousness, between philosophical teaching and the teaching of the Holy Spirit. Further, it can be understood that there is a need of the Holy Spirit. Everyone is able to abide by the laws of the land, else the Scripture would not command us to do so. Furthermore, one may choose to obey the laws of the land or not. Because people keep the laws, we say that they are law abiding folks, but another way of putting it would be to refer to these upstanding citizens as civilly righteous. This brand of righteousness can be obtained by human will, without the aid of Holy Spirit. Spiritual righteousness, however, requires the Spirit’s assistance. Further, it cannot be apprehended by those who have not been born again. For whereas civil righteousness may been obtained by the old, natural person, spiritual righteousness requires a new creation, a heart and mind that has been regenerated by the Spirit of God. Human nature is suited to civil righteousness but God’s Spirit is necessary for spiritual righteousness. Prayer: Mold me, Lord, according to your will. Amen. Receive these lessons by email. Write mryman@solapublishing.com with "Subscribe" as your subject. To unsubscribe, send an email to the same address with "Unsubscribe" as your subject. The Sola Online Worship Resource (SOWeR) includes a limited selection of music for use in worship, drawing primarily upon texts and music in the public domain, along with biblical texts set to familiar tunes. SOWeR is a lectionary-based web resource for Scripture lessons, lectionary inserts, children's bulletins, devotionals, text studies, prayers, hymn-planning, and much more! Join the hundreds of congregations who have discovered how simple, flexible, and useful SOWeR is for worship planning and sermon preparation. This brochure will answer more questions about SOWeR. Call 1-888-887-9840 to order a yearly subscription.